Broadcom NetXtreme Gigabit Fiber is a Network Adapters device. This driver was developed by Broadcom. In order to make sure you are downloading the exact right driver the hardware id is PCI/VEN_14e4&DEV_16A8. 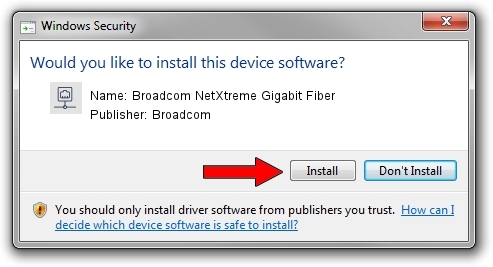 Download the driver setup file for Broadcom Broadcom NetXtreme Gigabit Fiber driver from the link below. 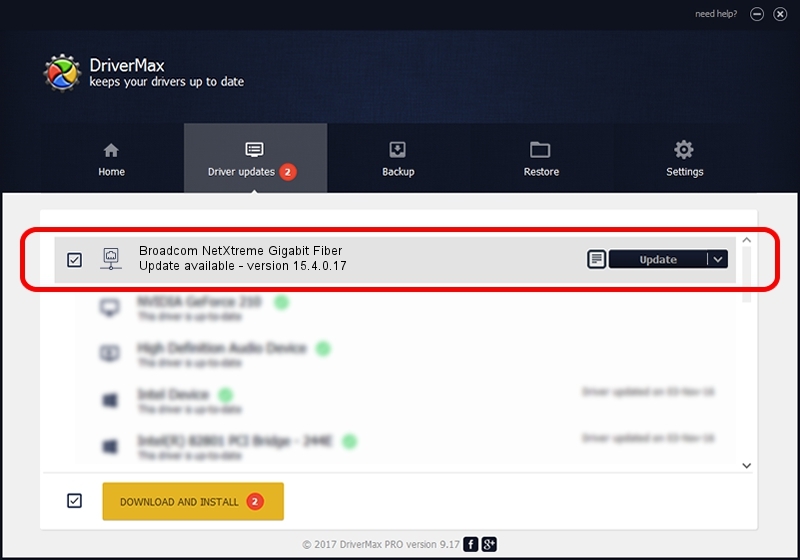 This download link is for the driver version 15.4.0.17 released on 2012-09-04. This driver received an average rating of 3.8 stars out of 63527 votes. Take a look at the list of driver updates. Scroll the list down until you locate the Broadcom Broadcom NetXtreme Gigabit Fiber driver. Click on Update.